Lord Ram is being deprived of the land that rightfully belonged to him and this is frustrating for the Hindus, said RSS Joint General Secretary Dattatreya Hosbale here on Sunday. MUMBAI: Lord Ram is being deprived of the land that rightfully belonged to him and this is frustrating for the Hindus, said RSS Joint General Secretary Dattatreya Hosbale here on Sunday. He was speaking at the grand Dharma-Sabha held here to resolve for the Ram Mandir at Ayodhya. “At the site of Ram Janmabhoomi, where the disputed structure stood, archaeological evidence has been found. This was made clear in the judgment of the Allahabad High Court. But, the land was not given for construction of the temple. On the contrary, it was divided in parts. In his Vamana Avatar, Vishnu had conquered the Trailokya in three steps. The next avatar of Vishnu, however, is being deprived of the land he rightfully owned. This is frustrating for Hindus,” Hosbale said, addressing a sizeable gathering. Renowned religious figures from Maharashtra like Jagatguru Ramanandacharya, Jagadguru Narendra Maharaj, Govind Deo Giri Maharaj, Anandgiri Maharaj, Nayan Padmasagar Maharaj, too, addressed the Dharma Sabha along with Joint General Secretary of Vishwa Hindu Parishad Prof. Dr. Surendra Jain. All the speakers stressed that the parliament should bring in a new legislation to build the temple. Weighing in on the ongoing temple debate, actor Nana Patekar has said that bread is more important than Ram Mandir. Patekar, who participated in the desilting of Khadakwasla reservoir near Pune through his non-profit venture, was speaking at the inaugural function of the work. 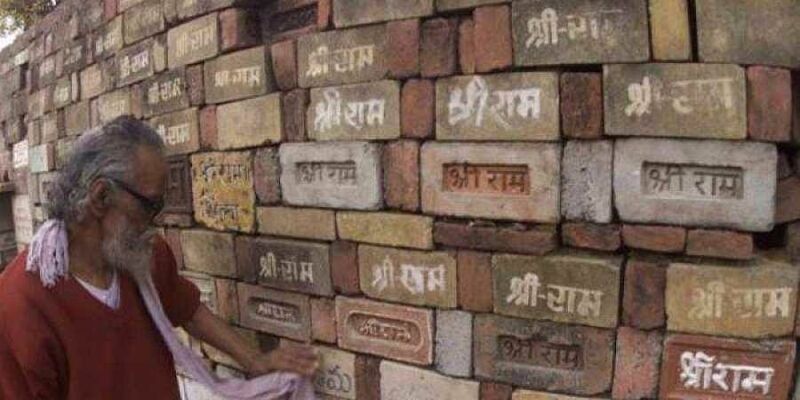 “Some people might feel that the issue of Ram Mandir is very important. But, when a poor person gets bread, that is like going to the temple for me. Everybody is free to have their own opinion. Those who want to build Ram Temple can hold on to their opinions,” Patekar said. The actor has been part of water and soil conservation efforts in Maharashtra through his non-profit venture. “People have now started coming to cities to fulfil their needs and realise their ambitions. They are not beggars. So don’t treat them as one,” Patekar said.